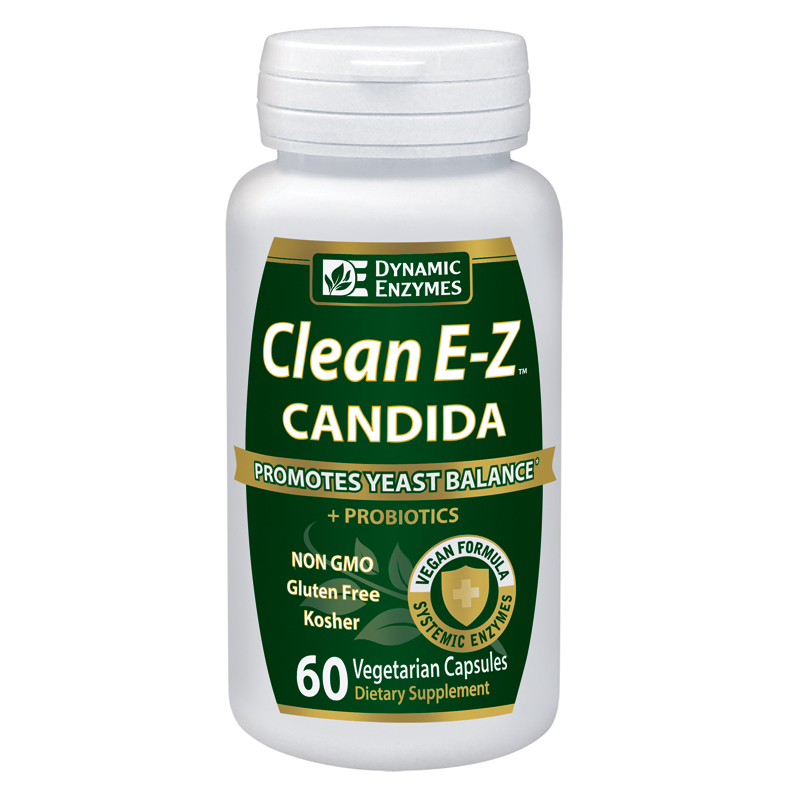 Clean E-Z Candida is a powerful probiotics & enzyme blend designed to support the gut, microbiome, optimal digestion, nutrient absorption, microflora balance, and break down yeast cell walls. Research shows the state of our gut and microbiome affects digestion, nutrient absorption, energy levels, hormone balance, skin health, mood, weight and immunity. Gut bacteria can be symbiotic (“good”) or pathogenic (“bad”). Clean E-Z Candida is free of pesticides, chemicals, preservatives, animal derivatives, yeast, fish or shellfish, peanuts, and tree nuts. All individual enzymes and probiotics are kosher-certified ingredients, and suitable for vegetarians and vegans. Clean E-Z Candida is a potent enzyme and probiotic blend designed to promote balanced microflora of the intestine, support gut-related immune health, and support a healthy digestive system. Our digestive tract is teeming with microorganisms, which are essential for our health. 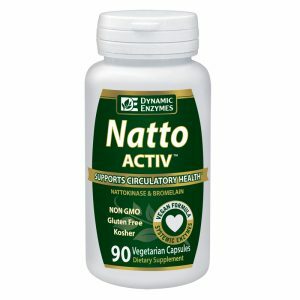 They support intestinal regularity, aid the immune system, produce vitamins such as B and K, and assist our digestion through their production of enzymes, including lactase, protease and amylase. We want to ensure the microorganisms (or bacteria) living in our intestines are “good.” The probiotic Bacillus coagulans is an example of good microbes. 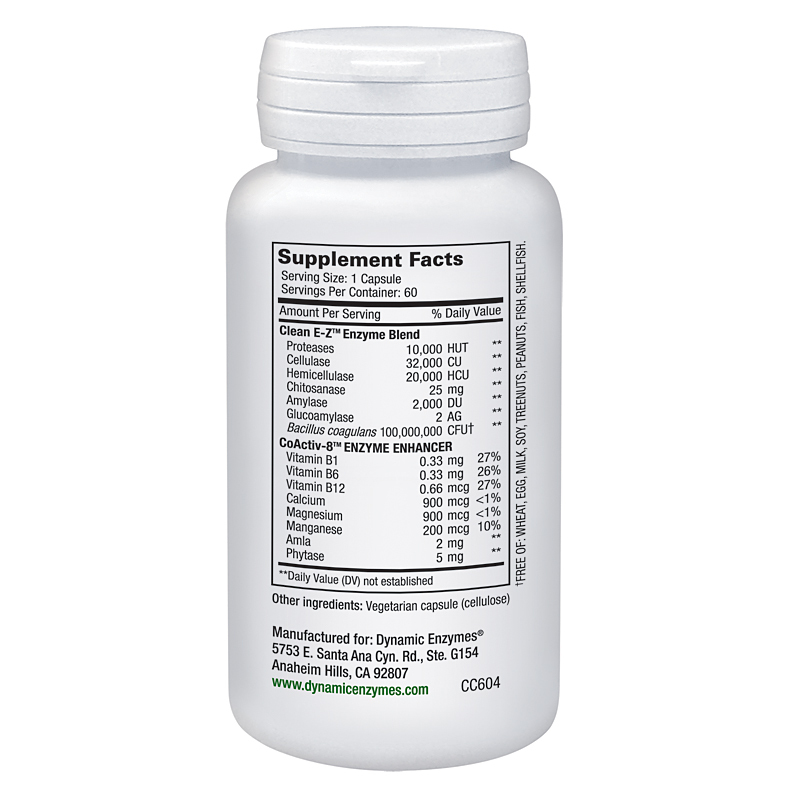 Each capsule of Clean E-Z Candida contains 100 million CFU (colony forming units) of Bacillus coagulans. Clean E-Z Candida uses a three-prong approach to support healthy gut. First, it promotes balanced microflora by proactively inserting good microorganisms in our gut, and supporting their actions. Second, it promotes weakening of the defense mechanisms of bad microorganisms by introducing enzymes that digest parts of microbial cell walls. And finally, Clean E-Z Candida includes a balanced blend of protein-digesting, fiber-digesting, and sugar-digesting enzymes to support healthy digestion of the food we consume. 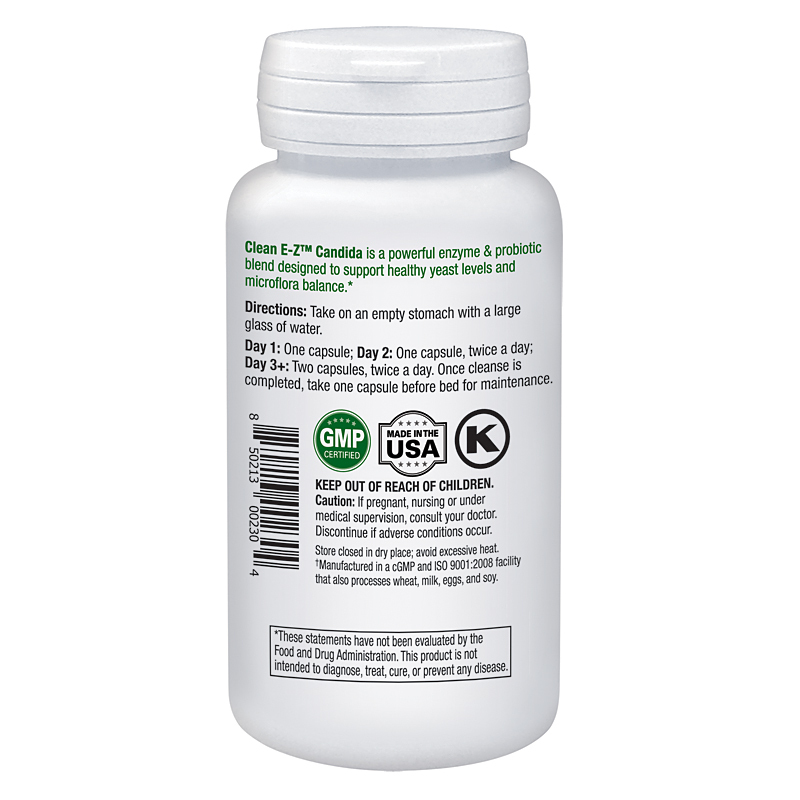 Clean E-Z Candida is a unique and efficacious gut health formula, one of the most potent on the market. It is manufactured in a ISO 9001:2000 and GMP certified facilities, and undergoes rigorous quality testing. In addition, Dynamic Enzymes’ signature CoActiv8 enzyme enhancer ensures all of our enzymes and probiotics work to their fullest potential, setting us apart from the rest. When do you take Clean E-Z Candida? Where can I get Clean E-Z Candida? Clean E-Z can be found nation-wide! Please take a look at our store locator to find a store near you!